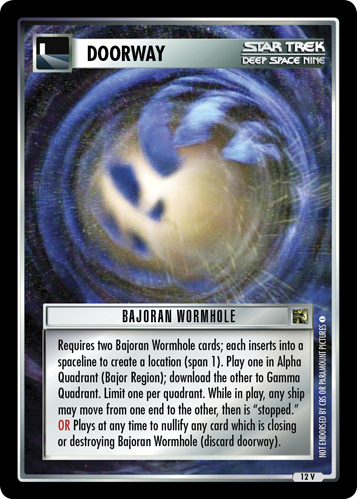 A shattered comet created a danger to ships and the Bajoran wormhole. 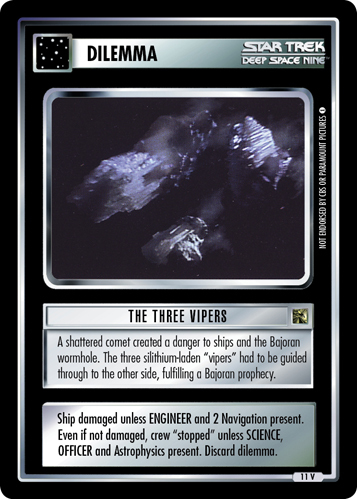 The three silithium-laden "vipers" had to be guided through to the other side, fulfilling a Bajoran prophecy. Ship damaged unless ENGINEER and 2 Navigation present. 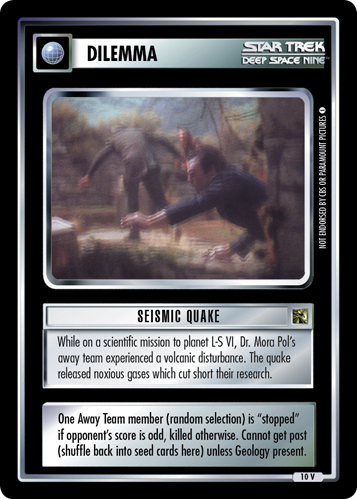 Even if not damaged, crew "stopped" unless SCIENCE, OFFICER and Astrophysics present. Discard dilemma.